Geology Drift over Carboniferous Limestone. Record Name SWAAG in Eden Part Four. The Cop Stone Alignment. 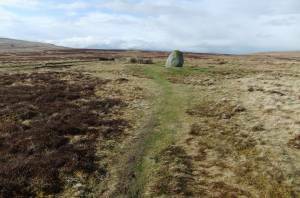 Cairn Circle, Standing Stone and associated Ring Cairn. Record Description Prominent standing stone known as the Cop Stone located on the perimeter of a very slight stone ring bank 19m diameter interpreted as an enclosed cremation cemetary or ring cairn. 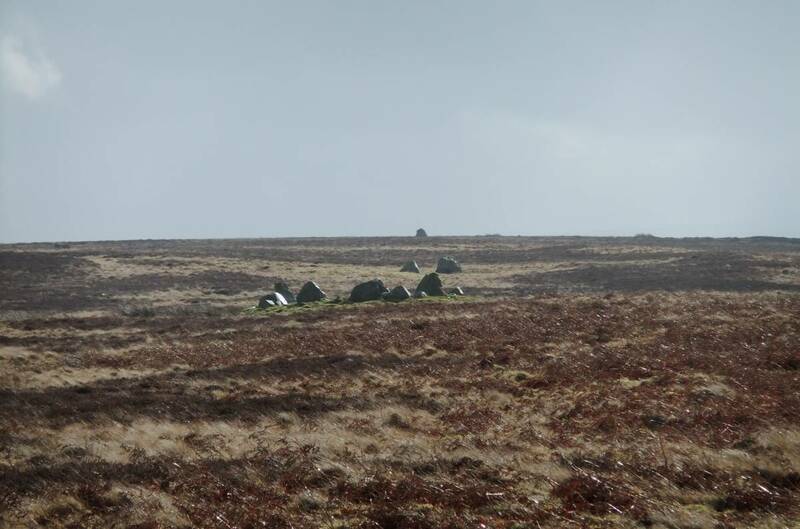 The Cairn Circle shown in the foreground on Photo 1 is recorded seperately as SWAAG Record No 513. 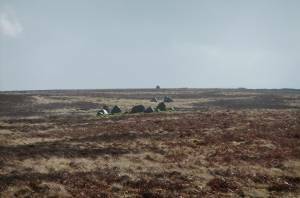 See M. Waistell Taylor, 'Prehistoric Remains on Moordivock near Ullswater.' Transactions of The Cumberland and Westmorland Antiquarian and Archaeological Society, 1885. for detailed description of the Cop Stone, Ring Bank, Cairn Circle, The Stone Alignments and other monuments on Moor Divock above Ullswater. NOTE! Please enlarge Photograph 1 to view the Alignment. Dimensions Cop Stone 5ft high and 14ft girth. 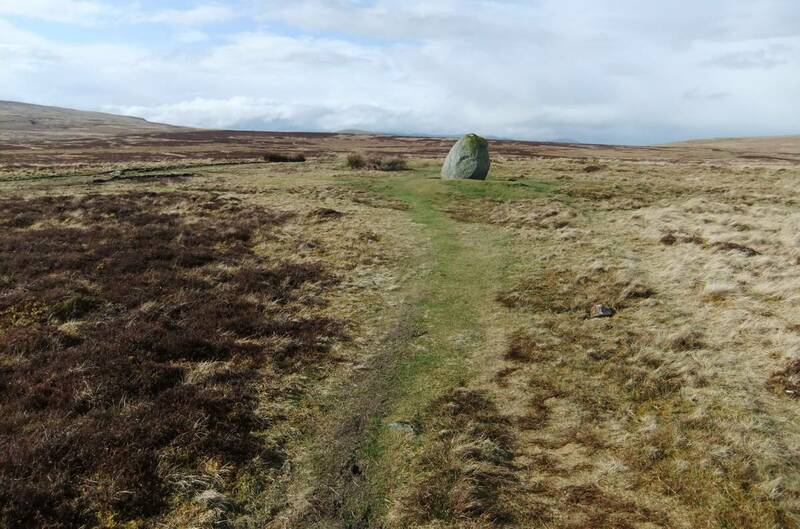 Additional Notes The Cop Stone forms one element in an alignment centred on the small excavated Cairn Circle shown in the foreground of Photo 1 which will be described seperately (SWAAG Record No 513 ). Image 2 Description The Cop Stone and slight stone ring bank denoted by a change of vegetation.